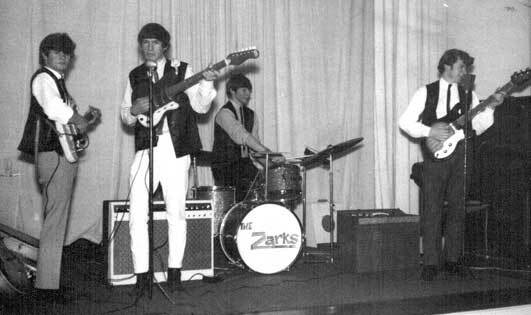 The Zarks were a 60's cover garageband playing Auckland New Zealand circa 1965-67 doing the rounds of Auckland's nightclubs. 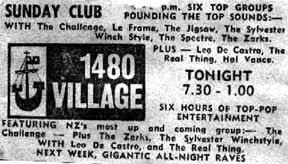 The Zarks played at: The Galaxie, The 1480 Village, The Platterack, The Auckland YMCA/YWCA dances, and many many suburban gigs. 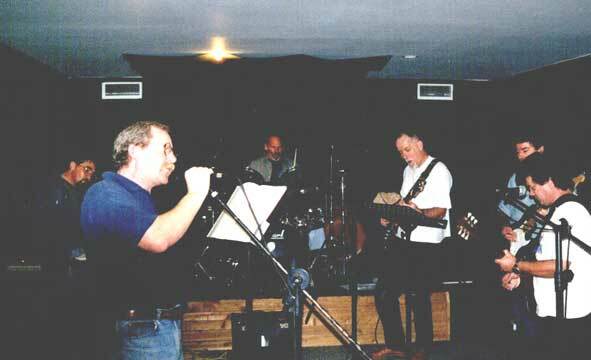 The Zarks 1st reunion gig was in 1990, then again in 1998. Then "The Kings Arms" (Newton, Auckland NZ) for one night only September 30th 2000 & November 24th 2001. JOHN BRAND ex San Francisco Lightworksjoined the gigs at the Kings Arms, Joghn performed his magic once more providing a great lightshow . 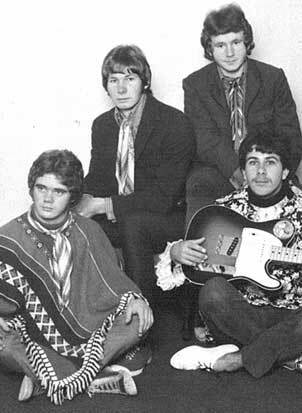 John did the very same for The Doors way back when. Playing the YWCA Queen St Auckland New Zealand. 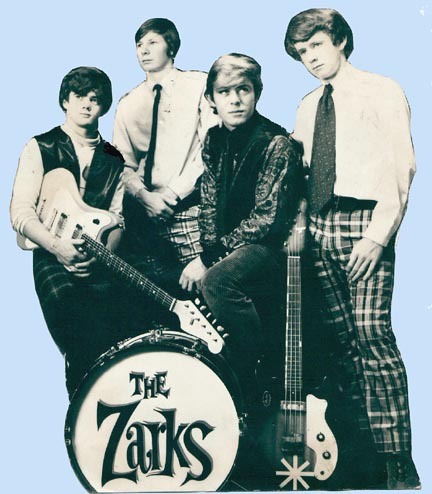 Stream/download an MP3 of a cover song recorded by The Zarks at home (501 New North Rd, Kingsland, Auckland NZ) 1968. The quality is surprisingly good given the equipment, (one mic, and an old tape machine). 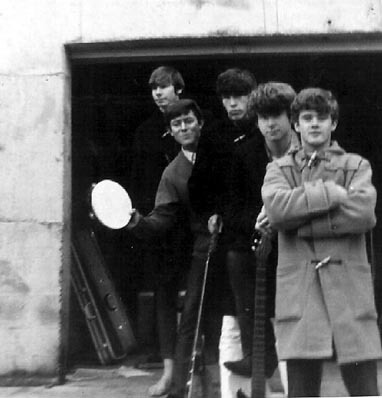 Picture above shows The Zarks outside their rehearsal "Garage" in Asquith Ave Mt Albert circa 1967, plus a clipping from the "Auckland Star" advertising the 1480 Village in Durham Lane Auckland 1968.